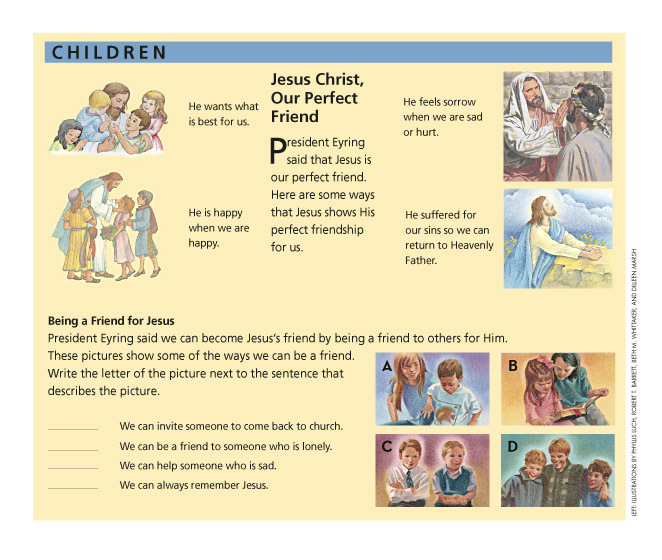 President Eyring said we can become Jesus’s friend by being a friend to others for Him. 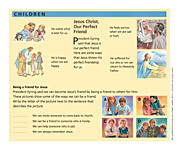 These pictures show some of the ways we can be a friend. Write the letter of the picture next to the sentence that describes the picture. We can invite someone to come back to church. We can help someone who is sad. We can always remember Jesus.